This month marks the tenth anniversary of Mel Gibson’s The Passion of the Christ. It was Ash Wednesday, February 25, 2004, when the highly anticipated film was released. Opening on just over 3,000 screens that day, Gibson’s cinematic interpretation of the passion narrative was an immediate blockbuster. Ten years later it is easy to forget just how consumed America was by this movie upon its release. During the season of Lent in 2004 all of America was discussing the Passion of the Christ. Despite charges from its critics that no one would be evangelized by such a violent and narrowly focused film, there were indeed millions touched by the Passion. For one full month the national dialogue was completely focused on Jesus Christ, His suffering and death on the cross for our salvation, and His resurrection from the dead. On a personal note, compelled by their experience, my parents began attending Church following their viewing of the film. My family was largely irreligious when I was growing up; agnostic at best. My parents, and particularly my father, were touched by the power of the film. Their reaction to what Gibson’s film presented them with was to say yes to Christ. Five years later both of my parents were confirmed at Easter Vigil and received into the Catholic Church. Gibson and Newmarket Films also targeted churches in a grass roots marketing campaign months in advance of the films release. Many groups either received free previews or were encouraged to rent out theatres for their congregations. Of those, many were evangelical communities. What is most interesting looking back a decade later is just how very Catholic the movie is. This is also part of the reason why so many critics were confused. 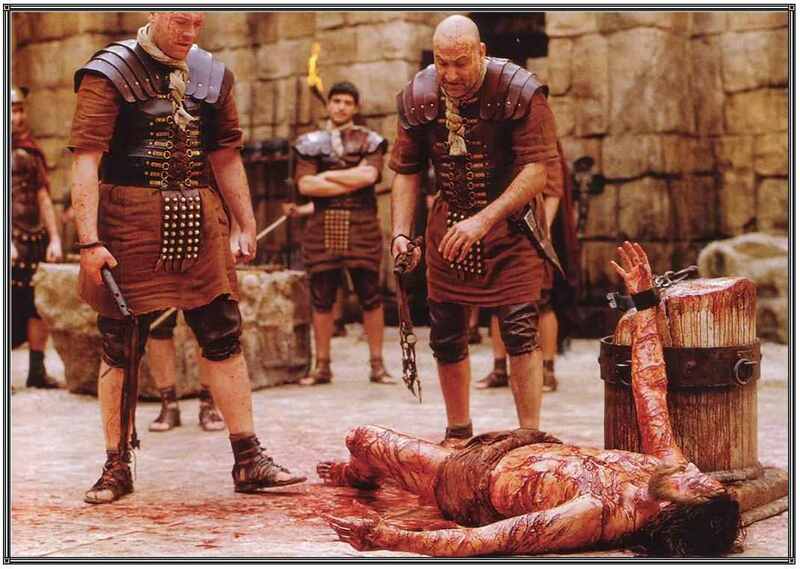 Those who wanted the standard “life of Christ” Hollywood bio were stunned that the movie only focused on His final 12 hours and brutal execution. For Catholics, however, it all made perfect sense. The Passion of the Christ is simply a contemporary take on the classic medieval Passion play. It is the Sorrowful Mysteries of the Holy Rosary brought to life, beginning with Christ’s agony in the garden and continuing all the way through His crucifixion. The film is a cinematic, “live” Stations of the Cross. Lastly, the Passion of the Christ is a very Marian movie. Our Blessed Mother is there throughout the movie, just as she was throughout our Lord’s ordeal. For many non-Catholics, this was something else to ponder. Mary’s maternal suffering and sacrifice is on full display within the movie. In the years since its release, many people have made it a tradition to watch the Passion every Lent. I have family and friends who makes it a part of their Good Friday observance every year. I have also heard of some parishes and small fellowship groups (and even youth groups) who come together to view it in community. In our fallen human nature we have a great capacity to forget the uncomfortable and to instead seek out safety and complacency. On its tenth anniversary, now may be the time to once again experience the Passion of the Christ. Posted on February 7, 2014, in life and tagged catholic movie, dolorous passion of our lord, lent, mel gibson, passion of the christ, the passion. Bookmark the permalink. 7 Comments. I remember it well that day that I sat in a movie theatre with another fellow Catholic and another who believed but did not understand the Glory of the Passion of our Lord. The 30 minute ride home was full of debate and explanations. This was the hardest movie to watch ever but the most necessary. Each Good Friday our parish walks an outdoor Way of the Cross through our town with scripture at each station. It is interesting to see how some people react to this. There are some that watch and show reverence to what is going on and others just look puzzled. I am quite sure that people are curious as to why all of a sudden there are crosses in places there never were before. If just one ends up joining us the next season it is worthwhile. A lot of critics did not like the film, but the late Roger Ebert and Richard Roeper (both raised Catholic) gave the film Two big thumbs up. They understood the film. Personally, I think it’s a good film despite a few flaws. Sadly, Mel Gibson’s personal life has had it share of difficulties in the last several years. I think the film transcends the directors personal shortcomings. The Passion of the Christ force us to confront our reality and also teaches us how much our almighty Father loves us and how much divinity there is in Jesus our Lord. I also cannot help to pray for Mel Gibson as I truly feel that he was enlighten by the Holy Spirit to come up with such as wonderful movie that without any doubt has encourage many to meditate the passion of our Lord. Yes, people often wonder, “How can such a religious film be made by a man who’s life has been so full of sin, both before and after the film?” That’s a natural question. And I think the answer to it is: Even the most sinful of people can produce good and holy fruit if they put their minds, hearts, talents, and efforts to it. Also, I think God uses people for His Divine Purpose. He has certainly used worse people than Mel Gibson. Thank you Liturgy Guy. The Passion is always part of our Good Friday observances. It is our Stations of the Cross, at 24fps. Valuable info. Lucky me I found your site by accident, and I’m stunned why this coincidence did not happened earlier!